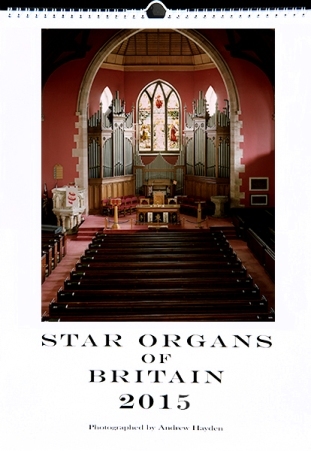 Star Organs of Britain are devoted to the best in organ photography. Andrew Hayden studied organ with Richard Hickox and Robert Munns and is well known for his historical feature articles in The Organ and Choir & Organ. He has been active in the British Institute of Organ Studies since 1996 and is presently BIOS Casework Officer. He was one of the team of organists for the East Anglian Historic Organs Sound Archive project and is currently researching the organs and organists of St Nicholas Parish Church, Great Yarmouth in the eighteenth and nineteenth centuries. 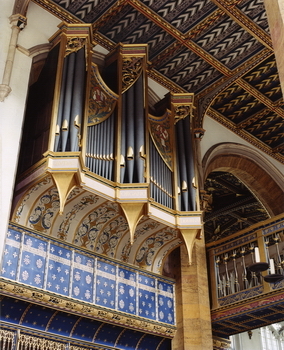 Continuing in the great tradition of Andrew Freeman, Gilbert Benham and Bernard Edmonds, his passion for the organ, combined with an almost equal passion for photography, led him to undertake the lifetime "Star Organs of Britain" project documenting the British organ at the beginning of the 21st century for future generations. It is intended, eventually, to deposit the collection of photographs and negatives with the British Organ Archive as part of the Archive's reference collections. He is also an accredited member of the Association of Independent Organ Advisors and an assessor for the BIOS Historic Organs Certification Scheme. New counties added to the gallery. Welcome all to our new site, some of the gallery is still under construction but we are now able to offer online purchase of all of our items on the products page. We can accept paypal and ALL major credit and debit cards to make your shopping much easier. Should you have any comments or problems, please don't hesitate to contact us and we will get back to you as soon as possible.